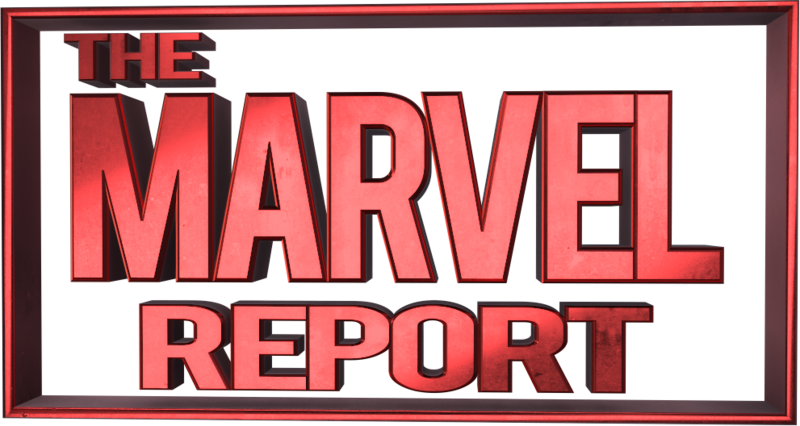 Recently The Marvel Report had the chance to get an exclusive interview with James D’Arcy, who played Edwin Jarvis on Marvel’s Agent Carter. 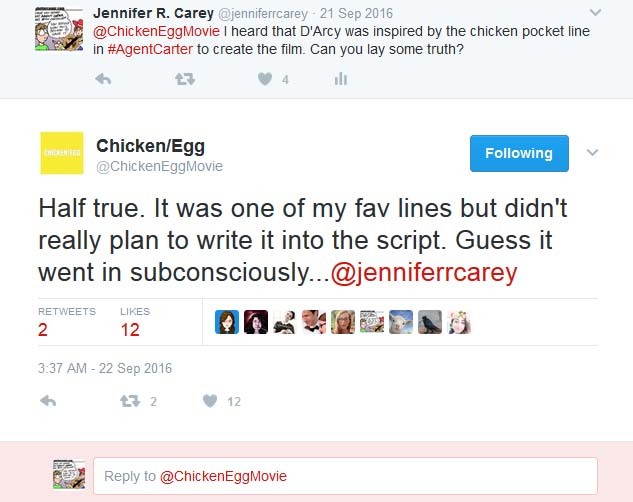 Since Agent Carter wrapped in 2016, D’Arcy has kept himself busy, taking on a couple of new projects, including Chicken|Egg, a short film that marks D’Arcy’s writing and directorial debut. Chicken|Egg was filmed in London in April of 2016. The description of the film is as follows: “Mark’s a good guy. Kenneth not so much. Mark’s gonna help Kenneth out. Maybe.” D’Arcy had his friends appear in this film, including Agent Carter herself Hayley Atwell and his co-star from the Virtuality pilot (and Game of Thrones actor) Nikolaj Coster-Waldau. The Marvel Report: What was your inspiration for Chicken|Egg? James D’Arcy: I sort of saw the first scene in my head, and wondered to myself how that might play out in a comedic way. From there, I’m honestly not sure how it came together. I wrote the whole thing on the plane to LA to shoot s2 of Agent Carter. TMR: How did you find working behind the camera? Did you experience any surprises or things you had not expected? D’Arcy: I loved it. It was the most creative experience of my life. I don’t have enough superlatives to describe how much I enjoyed it. Not too many surprises, it was just as much work as I suspected it would be! TMR: What was it like directing your friends and co-stars? D’Arcy: They were really game and professional. They were gracious enough not to mention that I was a total novice when we were on set together! TMR: How did you go about writing Chicken|Egg? Did you have a certain time of day and place that you prefered to write? Were there any surprises that came up in your writing? D’Arcy: I think the above answer should cover that? I don’t have a time of day to write, but I do like to get into a routine of doing it every day if I can. TMR: What can you tell us about Hayley Atwell’s character in Chicken|Egg? D’Arcy: Hayley plays a beautiful young mother. But as is revealed in the film, she has a surprising history…. TMR: Before season 1 of Agent Carter, you had said that you didn’t know if you could do comedy. Did you find your comedic instincts have improved after working on Agent Carter? D’Arcy: I definitely enjoy comedy a lot more than I thought I would. I think I trust myself better with comedy now, yes…. TMR: Is Chicken|Egg going to the film festival circuit? And if so, where can people see it? When will it be released to the general public? D’Arcy: It’s on the festival circuit now. The next festival it will screen at is Santa Barbara Film Festival. TMR: We hear that you have been working on a feature length film, as well. Can you share any information about The Long Way Round? D’Arcy: The Long Way Round is the story of a father and son, who are forced to confront their dysfunctional relationship together. Hopefully funny and moving…. TMR: We are saddened that Agent Carter was canceled after season 2. It is an absolute delight of a series and continues to inspire fans all over the world. If the series gets picked up again, is there anything in particular you would like to see Edwin Jarvis doing? D’Arcy: I’d like him to sell all the flamingoes in the first scene of the next series. TMR: I saw Guernica and was impressed. It was really nice seeing you act opposite Jack Davenport, another actor I admire. Do the two of you have any future projects you would like to work on together? TMR: What other projects have you been working on this year? How about any future projects? D’Arcy: Christopher Nolan’s Dunkirk comes out this summer. Also The Snowman later in the year. Beyond that, there are a few projects that may come together early this year… You’ll be the first to know! Follow @ChickenEggMovie for more information about James D’Arcy’s new EGGCELLENT film! The Defenders Episode 1.07-1.08 Review: Who Lives, Who Dies, Who Defends NYC?